MINSK, Belarus — The Russian Orthodox Church on Friday called on the United Nations, the leaders of Germany and France, the pope and other spiritual leaders to protect believers in Ukraine in the face of pressure on Moscow-affiliated clerics. Ukraine's Orthodox clerics will gather for a meeting Saturday that is expected to form a new, independent Ukrainian church, and Ukrainian authorities have ramped up pressure on priests to support the move. The Ukrainian church has been part of the Russian Church for centuries, while enjoying broad autonomy, but Ukrainian President Petro Poroshenko has pushed for the creation of an independent church. The newly formed community would then be expected to receive independence from the Ecumenical Patriarchate of Constantinople, the Istanbul-based institution considered the so-called "first among equals" of leaders of the world's Orthodox Churches that has already drafted a charter for an independent Ukrainian church. The Russian Church said on Friday that its Patriarch Kirill has sent a letter to the U.N. secretary-general, German Chancellor Angela Merkel, French President Emmanuel Macron, Pope Francis, the Archbishop of Canterbury and other spiritual leaders, urging them to help protect the clerics, believers and their faith in Ukraine. Merkel's spokeswoman and the German foreign ministry spokesman said they didn't immediately have any information on the letter. As church tensions have grown, Ukraine's Security Service has searched Russian Orthodox churches and the homes of Russian Orthodox priests in several cities. The agency also has summoned dozens of priests for questioning. Kirill's letter accused the Ukrainian government of hate speech and pressuring the clerics to take part in the Saturday gathering. "The numerous instances of discrimination against the Ukrainian Church (of the Moscow Patriarchate) give us the reason to fear far worse infringements of the rights and legitimate interests of Orthodox believers," the letter said. 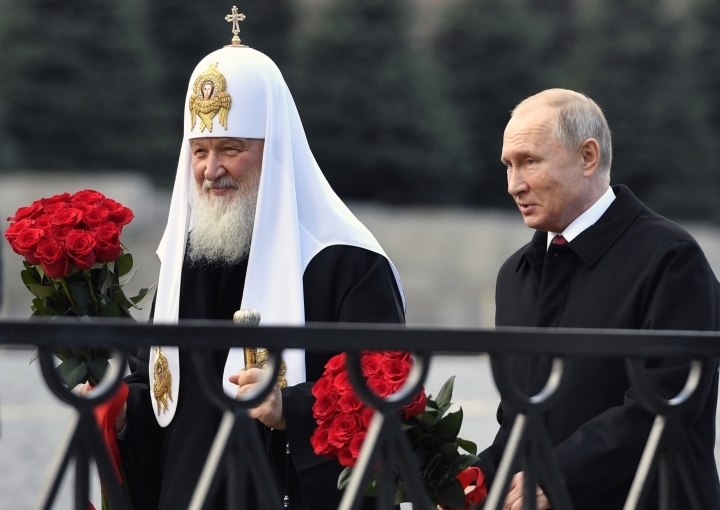 The Moscow Patriarchate's Ukrainian Church said on Friday that the security services forcibly delivered one senior cleric to Kiev, reportedly for a conversation with the president. 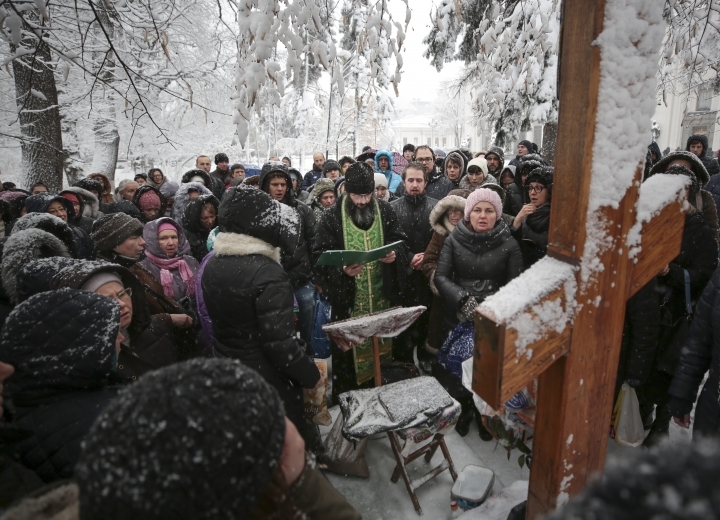 In Kiev, about 100 people led by a Moscow-affiliated cleric were holding prayers near the Ukrainian parliament Friday morning to protest the creation of a new church. Some voiced fears that authorities will seize churches from the communities under the Moscow patriarchate and give them to the new church. Nataliya Vasilyeva in Moscow and Geir Moulson in Berlin contributed to this report.